Quanta is excited to announce a recent update of its project to our honourable investors. Quanta is pleased to announce that we will be hosting a Quanta Stand at the ICE Totally Gaming Show which will be held in London for three days from February 6, 2018, at the ExCeL Centre in London. ICE is widely considered to be the most important eGaming show/conference in the world with all of the industries ‘big hitters’ in attendance. In 2017 the show recorded a total of 30,000 visitors. Exhibitors from more than 150 countries and 8,500 operators also participated in the event. Statistics for the 2017 event show that more than 70% of respondents said they would like to participate this year as well. 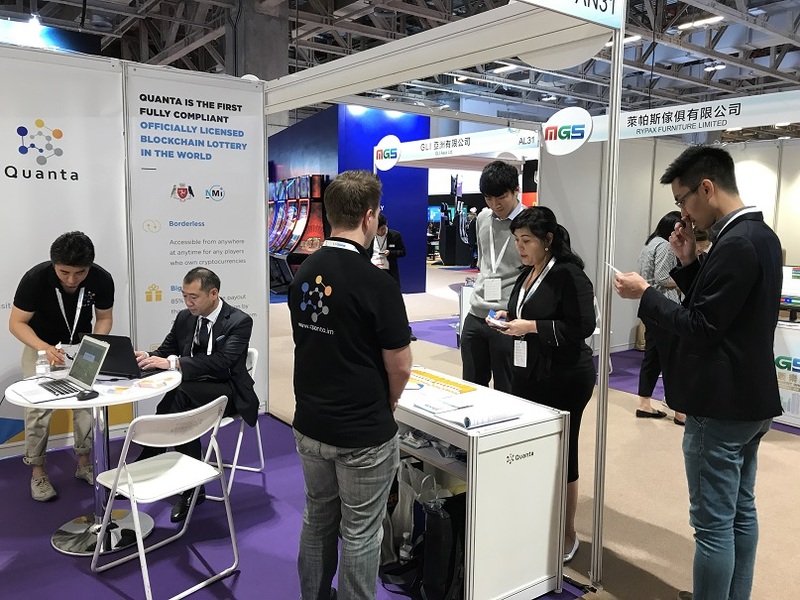 The event provides a great opportunity for Quanta to leverage business to business opportunities in the gaming industry as well as enhance the status of Quanta with visitors, delegates and the wider community. ICE not only provides dedicated space for networking and social hubs but, it also has space for business and client meetings. Running alongside is the VOX Blockchain Event, and Quanta is pleased to confirm that it is the headline sponsor! The VOX event attracts a wide variety of C-Level Executives from both the eGaming and Blockchain industry and provides Quanta with a unique opportunity to expand our profile in the sector. Our Chief Technology Officer, Kostas Farris, will present at the VOX event on Wednesday 7 February to further enhance Quanta’s reputation as sector leading specialist in blockchain technology. Quanta, which started with five founding members, now have an end-to-end Blockchain Gaming Platform, supported by its own Blockchain Technology Competence Centre that has more than 50 developers. Quanta received its license back in August 2018, and the Isle of Man Gambling Supervision Commission has now completed their final checks. We are ready to launch at this prestigious event!